Whether allergies or an infection cause sinusitis, you suffer from symptoms like nasal congestion and pressure around your nose and eyes. 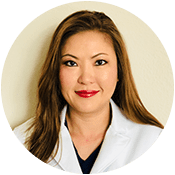 Dr. Kathy Yu-Syken at OCEANN has extensive experience determining the precise cause of your problem and creating customized treatment that targets your unique needs. If you have questions about your symptoms or need to schedule an appointment to get relief, call the office in Huntington Beach, California, or book an appointment online. Sinusitis refers to inflammation of one or more or the eight paranasal sinuses located along and above your nose. When the sinus lining becomes inflamed and swollen, the opening from the sinus into your nasal cavity gets blocked. As a result, mucus produced in the sinus can’t drain, so it builds up inside the sinus and causes an infection. Sinusitis usually appears together with rhinitis, which is in an infection in the membranes lining your nasal passages. The two are so closely related that sinusitis is referred to as rhinosinusitis. Better known as the common cold, non-allergic sinusitis is usually caused by a viral infection but may arise from bacteria or irritants. Although most cases don’t last long, the infection can become chronic, lasting 12 weeks or longer. More commonly known as hay fever, allergic sinusitis is caused by an immune response to airborne allergens. Tree pollen is usually the cause of allergies in the spring, grass pollen leads to rhinitis in the summer, and ragweed is the top culprit in the fall. If you have year-round allergies, your reaction is usually due to molds, dust mites, or pet dander. Dr. Yu-Syken performs testing to diagnose your sinusitis precisely. This testing may include imaging studies like CT scans, endoscopy to view inside your nose and sinuses, or allergy testing. She customizes your treatment according to the severity of your symptoms, whether your condition is acute or chronic, and whether the infection is viral, bacterial, or allergic. When chronic sinusitis resists treatment, and your symptoms persist, minimally invasive procedures or surgery provide long-lasting relief. With this procedure, the doctor gently guides a particular instrument through your nose to the blocked sinus opening, briefly inflates a balloon, then deflates and removes it. The balloon opens the sinus, so it drains properly and allows you to breathe normally. Results last about two years. Turbinates are structures inside your nose that help warm and moisturize air. When a turbinate becomes enlarged or swollen (an enlarged inferior turbinate), it blocks sinus openings and nasal passages. Dr. Yu-Syken treats this condition with one of several procedures that shrink the turbinates without removing the structures. When you need long-lasting relief from sinusitis, call Oceann ENT or book an appointment online.